Nowadays, more and more people are taking to the roads. Whether for practical purposes (like getting to and from work, doing the school run and making trips to the store for groceries), social means (visiting friends and family) or further travel (road trips to discover the wider world). It makes sense. Though public transport has come on leaps and bounds in the past few years and should be used when possible, there are certain freedoms that being able to drive will afford you. For example, traveling easily out of hours, getting to and from isolated locations and traveling long distances on a smaller budget. But getting on the road is a relatively long and expensive process. Here’s a complete guide to getting on the road. The first step towards getting on the road is passing your test. The theory component is the cheapest and (arguably) simplest part of the process. You should be able to pass this one first time, as long as you revise effectively. So learn everything you could possibly need to pass this part of your test without having to fork out for multiple attempts. The more difficult part? Your practical test. You can’t dive straight into this part of the test. You will have to have some sort of lessons first. This might be an intimate experience, with your sufficiently qualified family members or friends teaching you on private land. It could be more professional, with a professional driving instructor. The first is favorable in terms of cash flow: you are likely to spend less money learning from those you love. However, you will likely have to take more lessons on public roads before taking to the test center. A qualified driving instructor will be up to date with the rules of the road and have much more teaching experience than most other people. They will know what you will face at the test center and essential maneuvers that you will be asked to demonstrate. This will, expectedly, be more expensive. Lessons vary in price according to the instructor, location, time and number of lessons booked in advance. However, the average person will spend around $800 for their driving lessons and test. This will vary according to the individual but is the guideline amount that you should look at spending. If possible (and there’s no rush to pass your test), you should consider saving this money yourself. 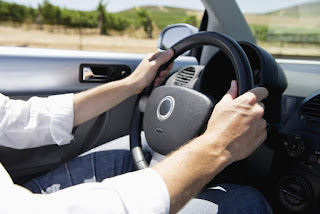 It is the first step of the process towards driving, so to have it paid for in full and out of mind will lessen pressure on you during an already stressful time. Try taking 10% out of each pay packet and saving it in a bank account until you have the right amount to pay in full. Paying in full will often result in you being offered discounts, reducing the overall price. Your first vehicle will ensure that you feel all of your hard work and investment was worth every second and penny. Having your own means of transport at hand twenty-four hours a day and seven days a week makes the world your oyster. You’re no longer bound by timetables and off-peak rail fares. But it’s also a big investment. Chances are that besides your home, your vehicle will be one of the most expensive investments that you make during your entire life. Remember that your first vehicle needn’t be your ideal vehicle. There are chances that you’ll have a few bumps and cause a few scratches or dents to the exterior, as you get used to navigating the roads. So we’d recommend reducing your losses by starting out with a second hand or used vehicle. You won’t lose as much value if you do have any minor incidents. It’s much less serious to cause a scrape on a low-value car than a brand new, fresh from the showroom motor. Once you’re used to the road and have more confidence in your driving abilities, you might like to start looking at updating or upgrading your motor. Now may be the time to start looking for a new vehicle. Most of us won’t be able to afford a brand new car outright. Unless you’re extremely financially efficient and have plenty of savings put aside, chances are that you will have to borrow to be able to get the car that you truly want. This is not a negative thing. It’s positive! But you need to know the options available to you. Most people opt for one of two techniques: getting a car on finance or taking out a loan. Finance means that you will choose a vehicle from a dealership and pay them back regular, smaller amounts until you have paid for the motor outright. What’s in it for the dealer? Cars on finance usually have high interest rates, meaning they earn back more than the car is worth. If possible, check out lending information online and see what alternative loans are available to you. Borrowing cash means you can purchase the car outright from a dealership and then pay back your alternative lending source. These will often have lower interest rates, meaning you can pay back the costs in small installments, but save yourself more money as time goes on. This allows you to choose the exact car that you want, without needing to break the bank to get your hands on it. The journey doesn’t end once you’ve passed your test and have your vehicle. There are essential extra costs that you’ll need to keep on top of. These should all be considered in your general life budget. Use previously dispensable cash to cover fuel costs, road tax, and insurance. You should also try to keep some extra savings aside for use in times of need to keep you on the road, even if times are hard. We all become recipients of unexpected expenses that take us by surprise. Think of repairs to your vehicle that you don’t want to claim for on your insurance.